The tenpence (10p) (Irish: deich pingin) was a sub-division of the Irish pound. 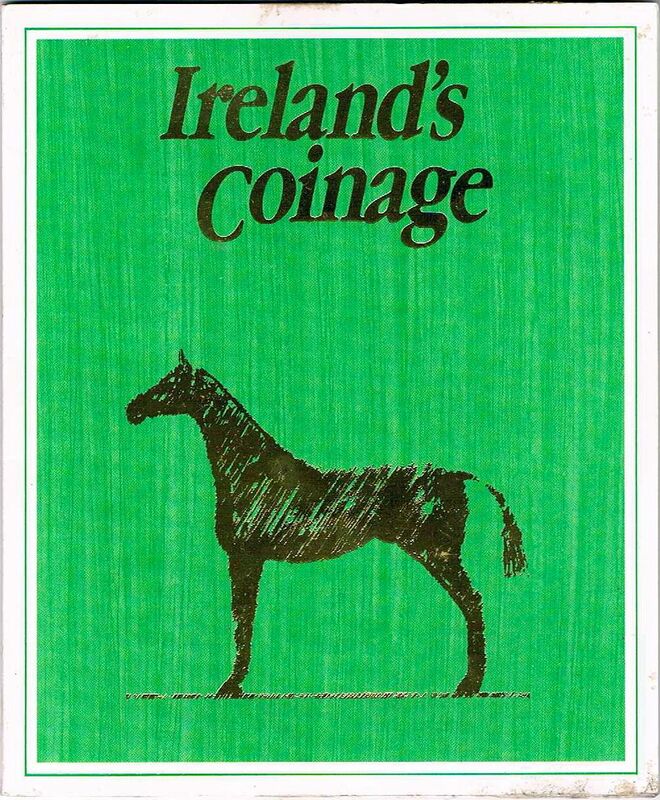 It was introduced in Ireland on Decimal Day, 15th February 1971 and re-used the design on the florin coin first produced for the Irish Free State in 1928. Due to the similarity in size and weight, many of the old florin coins remained in circulation until the early 1990s, when the new (smaller) 10p coin was released. Two different designs of the coin exist, both featuring a salmon on the reverse. The second was introduced in 1993 and is smaller, due to the reduction of the coin’s value by inflation. 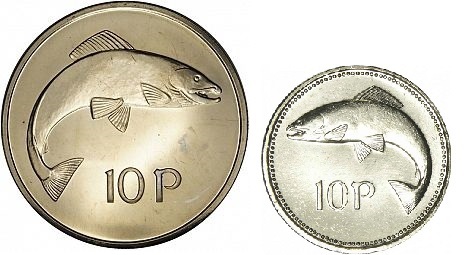 The two coins also differ insofar as the salmon faces right on the larger coin and to the left on the smaller coin. The Irish decimal tenpence coin matched the British tenpence coin and they were minted by The Royal Mint until the breakup with Sterling in 1978/79. Both of these coins were similar to the old Irish and British florins and these florins circulated alongside the decimal currencies of both nations until the new, smaller tenpence coins were released in 1993 and 1992, respectively. In 1986, no tenpence coins were circulated for that year – the 6,750 that were minted were used as part of a Brilliant Uncirculated (BU) set of coins that was mostly bought up by overseas collectors. As such, the 1986 tenpence coin sells at a significant premium whenever it is offered for sale. Many of these sets were broken up due to the poor construction of the packaging, i.e. the glue seeps out and damages the folder. Similar to the situation in 1986 when they introduced a new 20p coin, all vending machines In Ireland needed to be re-calibrated in advance of the circulation of the new (smaller) 10p coins and, with so many public phone boxes scattered around the country, Telecom Éireann engineers were issued with sample coins to test their equipment. How rare are 1992 tenpence coins and what grades do they turn up in?